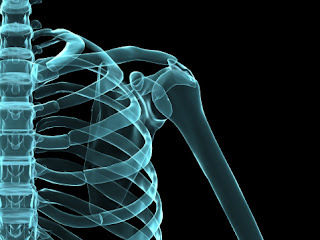 Unigene Laboratories recently released the results of their Phase II study for an oral based alternative to injections for osteoporosis treatment. The parathyroid hormone (PTH) shows that daily treatment strengthened the mineral density in postmenopausal women. Regular injections can be uncomfortable, which ultimately will lower patient compliance. However, this oral alternative is painless, and more convenient for patients. By making taking the drug less onerous, Unigene's oral PTH analog, which uses its Peptelligence drug delivery technology, could improve the drug's uptake. Peptelligence is an oral and nasal delivery technology and was the subject of a licensing agreement with Tarix Pharmaceuticals last month. This year we've seen various types of drug delivery technology including patches, nanoparticle delivery devices, aerosol dispensing systems, and even edible chocolate. Some are equipped to target the disease specific area, while others are to avoid painful injections. What do you think we should expect to see in 2013? It's no surprise that patient convenience and compliance are revolutionizing drug delivery and device development. So what does this mean for the future of Pharma? At the 17th annual Drug Delivery Partnerships, Roy Waldron, Senior Vice President and Associate General Counsel, PFIZER moderates our session, Where Does Drug Delivery Fit into the Pharmaceutical Pipeline? To learn more about the Drug Delivery Partnerships event, check out our agenda and join us February 6-8 in San Diego, Ca! As a reader of the Drug Delivery Partnerships International blog, you get a 15% discount off the standard rate when using code XP1878BLOG to register here. This is a great inspiring article.I am pretty much pleased with your good work. You put really very helpful information. Keep it up. Keep blogging. Looking to reading your next post!